In vitro micropropagation is now used in the production of healthy and homogenous pineapple planting materials. In order to increase the in vitro proliferation of pineapple, the synergetic effect of adenine sulphate (AdS) and benzylaminopurine (BAP) in presence or not of naphthalene acetic acid (NAA) was evaluated. Median axillary buds of crowns bursted 6 to 8 weeks old were cultured on Murashige and Skoog medium supplemented with BAP (0, 1 and 2 mg/l), NAA (0 and 0.5 mg/l) with or without AdS (40 mg/l). Five buds per treatment with four replicates were used. The addition of BAP to the medium stimulated regeneration (65 to 82%) and multiplication (3.04 to 6.13 plantlets/explant) which were further enhanced by the addition of NAA (98%; 6.42 plantlets/explant). AdS highly stimulated proliferation in presence of 2 mg/l BAP and NAA (14.96 plantlets/explant), plantlet mass (1.143g) but limited plantlet growth in height which was more induced in the absence of regulators (4.88 cm) and with AdS alone (5.63 cm). Thus, BAP is necessary for the proliferation of pineapple and the addition of 0.5 mg/l NAA to 2 mg/l BAP and 40 mg/l AdS optimizes the multiplication and growth parameters of pineapple plantlets. These results allow the mass propagation of pineapple’s homogeneous healthy planting materials. Keywords:Pineapple, micropropagation, adenine sulphate, benzylaminopurine, naphthalene acetic acid, shoots. FAOSTAT (2014). Annuaire statistique de production www.faostat.fao.org FAOSTAT | © FAO Statistics Division 2016 | 03 April 2017. Antoine Anassidé, Joseph Aïvodji. Elaboration des règles de soutien et de stabilisation des prix pour la filière ananas. ONS/PASREA, 2009; 62p. Josephine U. Agogbua, Julian O. Osuji. Split crown technique for mass propagation of smooth Cayenne pineapple in South-South Nigeria. African Journal of Plant Science, 2011; 5(10): 591-598. Carlos Aragón, L. Carvalho, Justo González, M. Escalona, S. Amâncio. The physiology of ex vitro pineapple (Ananas comosus L. Merr. var MD-2) as CAM or C3 is regulated by the environmental conditions. Plant Cell Rep, 2012; 31: 757-769. Charles L. Garnier. Note Technique Ananas : la « Queen Tahiti ». Département de la Recherche Agronomique Appliquée, Service du Développement Rural. Ministère de l’Agriculture, de l’Elevage et des Forêts de Tahiti, Polynésie française, 1997; 14p. Dale O. Evans, W. G. Stanford, Duane P. Bartholomew. Pineapple. Hawaii cooperative extension service, Commodity fact sheet PIN-3 (A). Fruit, 1988; 4p. E. Firoozabady, M. Heckert, N. Gutterson. Transformation and regeneration of pineapple. Plant Cell, Tissue and Organ Culture, 2006; 84: 1-16. Corneille Ahanhanzo, Clément Agbangla, Michelline Agassounon-Djikpo-Tchibozo, Gilles Cacaï, Karim Dramane. Etude comparative de l’influence des régulateurs de croissance sur la morphogénèse (in vitro) de quelques variétés de Manihot esculenta Crantz (manioc-euphorbiaceae) du Bénin. Rev. CAMES – Série A., 2008; 7: 40-45. Gilles Cacaï, Corneille Ahanhanzo, Adolphe Adjanohoun, Serge Houédjissin, Paulin Azokpota, Clément Agbangla. Hormonal influence on the in vitro bud burst of some cassava varieties and accessions from Benin. African Journal of Biotechnology, 2013; 12(13): 1475-1481. Corneille Ahanhanzo, Clément Agbangla, Christophe Gandonou, Arnaud Agbidinoukoun, Alexandre Dansi, Karim Dramane. Comparative study of the influence of two cytokinins associated to one auxin on the in vitro morphogenesis of some genotypes of yams from Benin. Agronomic Research of Benin Report, 2008; 60: 33-42. Tchoa Kone, Mongomaké Kone, Daouda Kone, Tanoh H. Kouakou, Siaka Traore, Yatty J. Kouadio. Effect of photoperiod and vitamins on the micropropagation of the banana plantain (Musa AAB) starting from sucker at position 1. J. Appl. Biosci., 2010; 26: 1675-1686. Christophe B. Gandonou, Corneille Ahanhanzo, Clément Agbangla, Arnaud Agbidinoukoun, Arsène Doussoh, Gilles Cacaï, René Dossoukpèvi. Micropropagation in vitro de la variété « Aloga » du bananier « plantain » (Musa x paradisiaca L.) au Bénin. International Journal of Biological and Chemical Sciences, 2012; 6(3): 1102-1111. Eyitayo T. A-E. F. Agbadjé, Arnaud Agbidinoukoun, Martine Zandjanakou-Tachin, Gilles T. H. Cacaï, Serge S. Houédjissin, Corneille Ahanhanzo. Effect of drying plantain (Musa spp.) suckers prior to in vitro culture on reduction of lethal browning. International Journal of Agricultural Policy and Research, 2017; 5(12): 192-200. K. E. Danso, K. O. Ayeh, V. Oduro, S. Amiteye, H. M. Amoatey. Effect of 6-Benzylaminopurine and α-Naphthalene Acetic Acid on In vitro Production of MD2 Pineapple Planting Materials. World Applied Sciences Journal, 2008; 3(4): 614-619. A. R. Zuraida, A. H. Nurul Shahnadz., A. Harteeni, S. Roowi, C.M.Z. Che Radziah, S. Sreeramanan. A novel approach for rapid micropropagation of maspine pineapple (Ananas comosus L.) shoots using liquid shake culture system. African Journal of Biotechnology, 2011; 10(19): 3859-3866. M. Escalona, J. C. Lorenzo, B. González, M. Daquinta, J. L. González, Y. Desjardins, C. G. Borroto. Pineapple (Ananas comosus L. Merr) micropropagation in temporary immersion systems. Plant Cell Reports, 1999; 18: 743-748. W. A. B. Almeida, G. S. Santana, A. P. M. Rodriguez, M. A. P. Costa. Optimization of a protocol for micropropagation of pineapple. Rev. Bras. Fruit, 2002; 24: 296-300. E. Firoozabady, N. Gutterson. Cost effective in vitro propagation methods for pineapple. Plant Cell Report., 2003; 21: 844-850. F. George F., P. D. Sherrington. Plant propagation by tissue culture. Exegetics Limited, 1984; pp: 284-330. L. Kyte., J. Kleyn. Plants from test tubes: An introduction to micropropagation. Third edition, 1986; pp 82. Ndoumou Denis Omokolo, Fotso, Margaret Awah Tita, Nicolas Niemenak. Régénération directe in vitro de l’Ananas comosus (L.) Merril var. Cayenne à partir de couronnes cultivées en milieu liquide. Fruits, 2001; 56(6): 415-421. K. W. Rahman, M. N. Amin, M. A. K. Azad. In vitro rapid propagation of pineapple, Ananas comosus (L) Merr. Plant Tissue Cult., 2001; 11: 47-53. Majid A. Ibrahim, Huda A. Al-Taha, Aqeel A. Seheem. Effect of cytokinin type and concentration, and source of explant on shoot multiplication of pineapple plant (Ananas comosus ‘Queen’) in vitro. Acta agriculturae Slovenica, 2013; 101(1): 15-20. Inuwa S. Usman, Maimuna M. Abdulmalik, Lawan A. Sani, Ahmed N. Muhammad. Development of an efficient protocol for micropropagation of pineapple (Ananas comosus L. var. smooth cayenne). African Journal of Agricultural Research, 2013; 8(18): 2053-2056. A. R. Atawia, F. M. Abd El-Latif, S. F. El-Gioushy, S. S. Sherif, O. M. Kotb. Studies on Micropropagation of Pineapple (Ananas comosus L.). Middle East Journal of Agriculture Research, 2016; 05(02): 224-232. L. V. Be, P. C. Debergh. Potential low-cost micropropagation of pineapple (Ananas comosus). South Afr. J. Bot., 2006; 72: 191-194. Adel M. Al-Saif, A. B. M. Sharif Hossain, Rosna Mat Taha. Effects of benzylaminopurine and naphthalene acetic acid on proliferation and shoot growth of pineapple (Ananas comosus L. Merr) in vitro. African Journal of Biotechnology, 2011; 10(27): 5291-5295. Saifullah Khan, Asma Nasib, Bushra A. Saeed. Employment of in vitro technology for large scale multiplication of pineapples (Ananas comosus). Pak. J. Bot., 2004; 36(3): 611-615. S. Nandagopal, B.D. Ranjitha Kumari. Adenine sulphate induced high frequency shoot organogenesis in callus and in vitro flowering of Cichorium intybus L. cv. Focus – a potent medicinal plant. Acta agriculturae Slovenica, 2006; 87(2): 415-425. S. D. Medza Mve, G. Mergeai, J.-P. Baudoin, A. Toussaint. Amélioration du taux de multiplication in vitro de Jatropha curcas L. Tropicultura, 2010; 28(4): 200-204. Gabriela Vicaş. Effect of adenine sulfate (AdSO4) on the in vitro evolution of white clover variety (Trifolium repens L.). Analele Universităţii din Oradea, Fascicula Protecţia Mediului., 2011; 17. 8p. Mohd. Kamran Khan, Pragati Misra, Taru Sharma, P. K. Shukla, P. W. Ramteke. 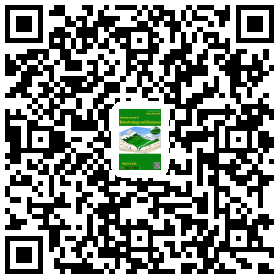 Effect of adenine sulphate on in vitro mass propagation of Stevia rebaudiana Bertoni. Journal of Medicinal Plant Research., 2014; 8(13): 543-549. J. Van Staden, E. Zazimalova, E. F. George. Plant growth regulators II, Plant Propagation by Tissue Culture: Cytokinins, their analogues and antagonist. In George E F, Hall M, De Kleck GJ (eds) Academic press, Netherland, 2008; 205-226. Ipsita Dutta, Joyita Bhadra, Pritha Ghosh, Babita Saha, Siraj Datta. An Efficient and Cost Effective Protocol for In Vitro Propagation of Pineapple. Journal of Ornamental Plants, 2013; 3(4): 229-234. Christophe C. Tossou, D. B. Elodie Capo-chichi, Hounnankpon Yedomonhan. Diversité et caractérisation morphologique des variétés d’ananas (Ananas comosus (L.) Merrill) cultivées au Bénin.” Journal of Applied Biosciences, 2015; 87: 8113-8120. Bienvenu T. Badou, Arnaud Agbidinoukoun, Leifi Nondichao, René Dossoukpèvi, Gilles T.H. Cacaï, Serge S. Houédjissin, Corneille Ahanhanzo. Effects of two disinfectants and two growth regulators on in vitro propagation of Smooth Cayenne and Sugarloaf cultivars of Pineapple (Ananas comosus (L) Mill var. comosus). Journal of Biotechnology Research, 2017; 3(10): 94-105. T. Murashige, F. Skoog. A revised medium for rapid growth and bioassay with tobacco tissue culture. Physiologia Plantarum, 1962; 15: 473-497. Samuel Acheampong, Isaac K. A. Galyuon, Aaron T. Asare. Effects of sterilization protocols, benzylaminopurine and type of explants on growth initiation of pineapple (Ananas comosus (L.) Merr.) cultures. Journal of Basic & Applied Sciences, 2015; 1(3): 50-65. S. Raha, S. C. Roy. In vitro plant regeneration in Holarrhena antidysenterica Wall. through high frequency axillary shoot proliferation. In Vitro Cell. Dev. Biol. Plant., 2001; 37: 232-236. P. Boxus, J. Bercetche, Bollon, J. P. Ducas, A. Jemmali, M. Pâque, V. Petlard, S. Pieron. Multiplication végétale, micropropagation, embryogenèses somatiques. In Kadiri A., Ighilhariz Z., Bouabdallah L., Halfaoui Y. Influence du génotype, du type d’explant et de la balance hormonale sur la callogenèse chez le pois chiche (Cicer arietinum L.) Nature & Technologie. B‐Sciences Agronomiques et Biologiques, 1995; 11: 59-66. K. H. Neumann, A. Kumar, J. Imani. Plant cell and tissue culture-A tool in Biotechnology. Basis and application, principles and practice In Kadiri A., Ighilhariz Z., Bouabdallah L., Halfaoui Y. Influence du génotype, du type d’explant et de la balance hormonale sur la callogenèse chez le pois chiche (Cicer arietinum L.) Nature & Technologie. B‐Sciences Agronomiques et Biologiques, 2009; 11: 59-66. W.C. Anderson. Tissue culture propagation of Red and Black Raspberries, Rubus Idaeus and R. Occidentalus. Act. Hort., 1980; 112, 13. Ramon F. Scherer, Antônio C. Garcia, H. P. F. Fraga, Lirio L. Dal Vesco, Douglas A. Steinmacher, Miguel P. Guerra. Nodule cluster cultures and temporary immersion bioreactors as a high performance micropropagation strategy in pineapple (Ananas comosus var. comosus). Scientia Horticulturae, 2013; 151: 38-45. Ramon F. Scherer, Daniel F. Holderbaum, Antônio C. Garcia, Doriva A. da Silva, Douglas A. Steinmacher, Miguel P. Guerra. Effects of immersion system and gibberellic acid on the growth and acclimatization of micropropagated pineapple. Crop Breeding and Applied Biotechnology, 2015; 15: 66-71. P. Bhatia, N. Ashwath. Development of rapid method for micropropagation of a new pineapple (Ananas comosus (L.) Merr. clone Yeppoon gold. Acta Hortic., 2002; 575: 125-131. Abdelhamid M. Hamad, R. M. Taha. Effect of Benzylaminopurine on in vitro Proliferation and Growth of Pineapple (Ananas comosus L. Merr.) cv. Smooth Cayenne. Journal of Applied Sciences, 2008; 8(22): 4180-4185. M. G. de Wald, G. A. Moor, W. B. Sherman. Production of pineapple plants in vitro. Plant Cell Rep., 1988; 7:535-537. M. Quoirin, P. Boxus, T. Gasper. Root initiation and isoperoxidases of stem tip cutting from mature Prunus plants. Physiologie Végétale 12, School of Agriculture, Aristotle University Thessaloniki, Greece, 1974; pp.165-174. P. Druart, C. Kever, Ph. Boxus, Th. Gasper. In vitro promotion of root formation by apple shoots through darkness effect on endogenous phenols and peroxidases, Z. P. flanzenphysiol., 1983; 108(3): 429-436. CIRAD. Clé de description des variétés d’ananas (Ananas comosus (L.) Merill). Web Caribfruits., 2008.